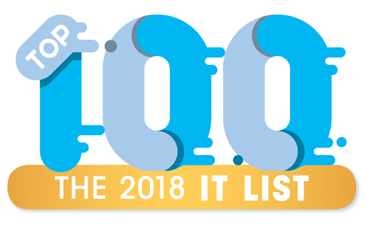 EVENT MARKETER MAGAZINE NAMES MELT ONE OF THE TOP 100 EVENT MARKETING AGENCIES OF 2018; THE EVENT MARKETER “IT LIST” REPRESENTS THE BEST OF THE BEST EVENT AND EXPERIENTIAL MARKETING AGENCIES IN THE COUNTRY. Atlanta, GA – August 8, 2018 – MELT, the Atlanta-based award-winning sports, entertainment and culinary marketing agency, was named to Event Marketer Magazine’s Agency 2018 “It List,” marking MELT as one of the top 100 event marketing agencies in the country. The 16th annual roster “represents the kind of best-in-class work and forward thinking that is pushing the event industry forward,” according to the magazine. MELT was chosen from hundreds of agencies who entered the competition, which is the event industry’s only editorial listing of the top 100 event agencies of the year. MELT, founded in 2000 by its Chairman/CEO Vince Thompson, annually produces more than 1000 events and has an 18-year representation of The Coca-Cola Company. The agency is responsible for the activation of 16 straight NCAA Men’s Final 4s, six straight seasons of ESPN College GameDay and many others. Founded by CEO Vince Thompson in 2000, MELT, LLC, is an Atlanta based fully-integrated sports and entertainment marketing agency offering clients advertising, original content development, digital, social media, event and experiential marketing, retail and consumer promotions, brand strategy and sports property evaluation and activation. Check us out at www.meltatl.com, on facebook.com/MELTatl, or on Twitter @MELTatl.